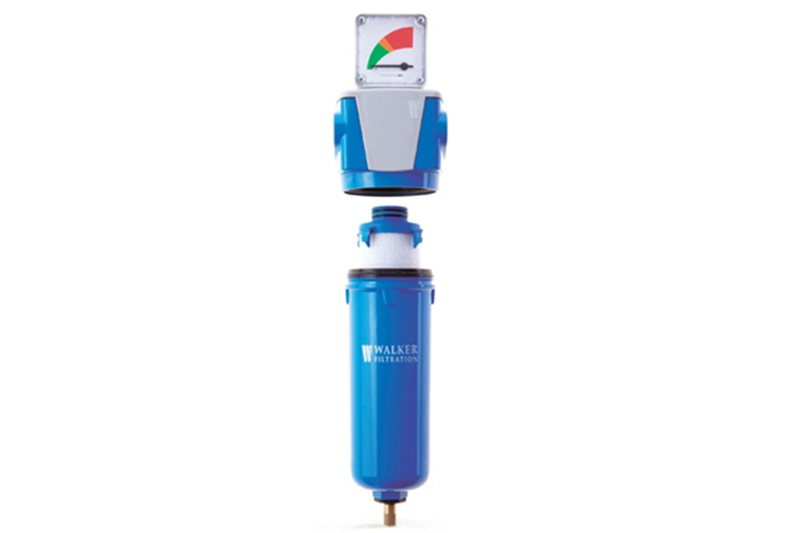 Walker Filtration’s Alpha Series range of Threaded filters offers 19 models with connections from ¼” to 3” (BSP & NPT) and flow capacities up to 2550 Nm³/h (1500 scfm). Manufactured in cast aluminium alloy with Walker E-coat™ protection, the optimized modular filter design ensures that high performance, ease of installation, and multiple close coupling are continually achieved. Oleophobic borosilicate media and a custom engineered anti re-entrainment layer guarantees exceptional dirt holding and drainage. A unique material construction minimizes pressure drop, improves energy efficiency, and lowers energy costs-- something that is crucial in today’s economic climate. Self-centralising, push-fit elements are colour-coded to make grade identification quick and simple. A unique end cap design allows the elements to fully engage with the filter bowl to prevent vibration, improve stability, and assist drainage. Custom engineered media for optimized performance and efficiency. Self centralizing, drop-fit, anti-vibration, colour-coded elements. Intelligent, unique, modular filter housing design. CAG Purification offers high quality products with a commitment to please customers. In the event that any products are defective, CRU AIR + GAS in cooperation with CAG Purification will seek to resolve the problem as quickly and as cost effectively as possible. See more here.